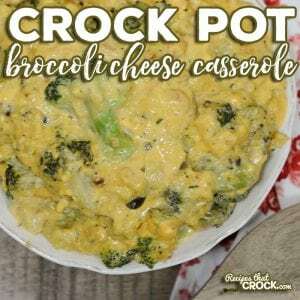 Crock Pot Broccoli Cheese Casserole - Recipes That Crock! 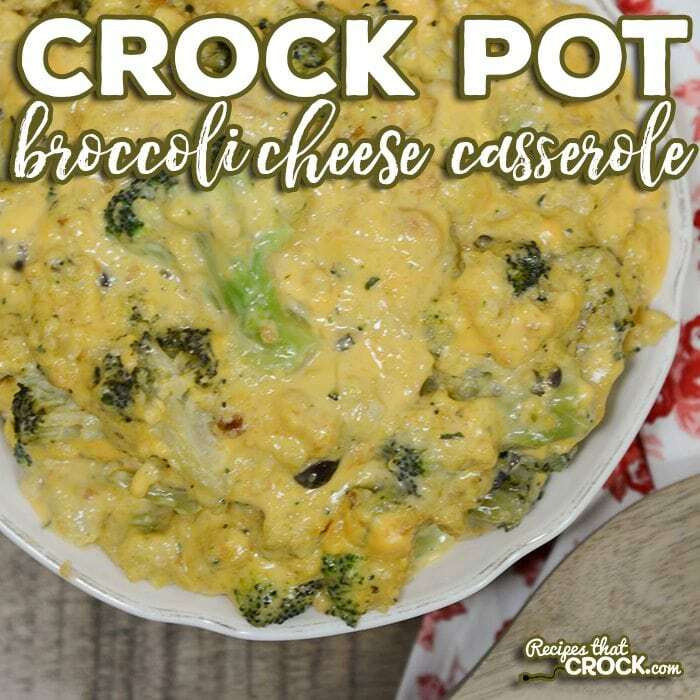 Crock Pot Broccoli Cheese Casserole is a delicious side dish slow cooker recipe perfect for holidays, potlucks or a special weeknight treat for family dinner! Recently one of the members of our YouTube community reached out to us (Hi Tammy!!) with one of their tried and true slow cooker recipes and asked if we’d like to give it a try. We LOVE to try new recipes, so we were absolutely thrilled to give it a go and boy, oh boy it did not disappoint! Not only was it quite tasty, it was incredibly easy to throw together. It is definitely going on my list of foods we could take to a pitch-in (what us Hoosiers call a potluck 😉 ). 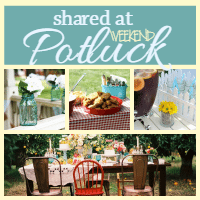 Note: Scroll to the bottom of this post for a printable recipe. Mix together stuffing with water or broth and microwave for 3 minutes. Pour into slow cooker and add remaining ingredients and stir well. Cover and cook on low for 2-3 hours until cheese melts and broccoli is tender. I used a 5 quart round slow cooker for this recipe. Any 4-6 quart recipe should work fine. We stayed true to Tammy’s recipe with one small change. My aunt taught me years ago to make my stuffing with chicken broth to add a bit of flavor and from that day forward I have always used broth in my stuffing. If you are a fan of crock pot liners, this might be a good recipe to use one on. The cheese will stick a bit. If you don’t like liners, you might try spraying your crock with a little non-stick spray to help with clean up. Non-Velveeta fans always ask me about switching out cheddar for Velveeta. I have not tried it with this recipe but my guess is that it would work, the final dish will just have a different consistency. We stayed true to Tammy's recipe with one small change. My aunt taught me years ago to make my stuffing with chicken broth to add a bit of flavor and from that day forward I have always used broth in my stuffing. If you are a fan of crock pot liners, this might be a good recipe to use one on. The cheese will stick a bit. If you don't like liners, you might try spraying your crock with a little non-stick spray to help with clean up. If you prefer to make your own Cream of Mushroom Soup, this is our substitute recipe. So do you mix anything else in the stuffing or just the chicken broth? Sounds good to me. I pinned it to try. I see you only say cook the stuffing for 3 minutes. Are you just trying to get the stuffing partially cooked before adding it to the crockpot. My stuffing instructions say cook for 5-6 minutes. Just wanted to make sure before I mess something up!! It cooks up the rest of the way in the slow cooker. Enjoy! I love anything with broccoli and stuffing! I’m not a fan of mushrooms, so I was wondering if I could substitute with cream of chicken? You could use cream of chicken or cream of celery. Enjoy! Ok. So I am sad to say that loving so very many of your recipes this one for Broccoli Cheese casserole is not a keeper. Followed recipe just as wrote. After only 2 hours the broccoli was so mushy it was almost nonexistent. The Velveeta cheese which normally melts very well was kind of like little square cubes of half melted goo. 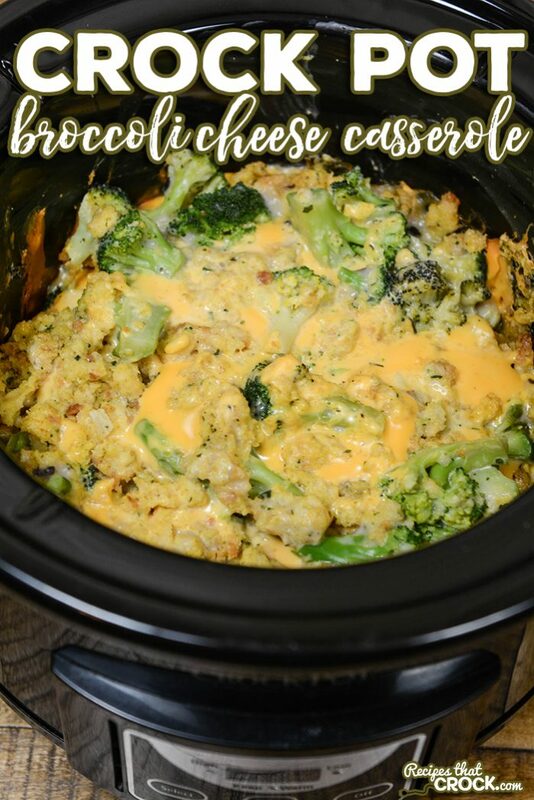 I’m wondering if adding the broccoli frozen instead of thawed like stated in recipe and melting Velveeta with a little milk before adding to crock pot would have helped this recipe. I hate to hear that it didn’t turn out for you. We definitely did not have a problem with our broccoli dissolving into the dish, but our cuts of broccoli were quite large. Also, I have never had to pre-melt Velveeta so I am not sure what happened there. We absolutely loved this dish, but we realize not every dish is everyone’s cup of tea. Glad you have found other recipes on the site you enjoy. Is the 1.5 cups of water or chicken broth added to the stuffing mix or added to the entire mixture? I guess I’m thinking you are supposed to mix the stuffing mix with liquid plus add an additional 1.5 cups to the recipe. I hope that makes sense. I just don’t want to add too much liquid. Hi Laurie! The broth/water only goes in the stuffing, not in addition to it. Hope that helps! I was thrilled you tried and liked my recipe! I learned something new I never thought about chicken broth for my stuffing but I will from now on. Thank you again for the shout out and all the wonderful recipes. Please keep them coming. So glad you sent it our way Tammy! It was VERY good! Wow…this sounds really good. Will try it soon! IS it just me or does anyone think that shredded chicken added to this would make it even more scrumpdileisious!? That sounds like a great idea Jan! I was thinking the same thing about chicken. Going to try it tonight and see how it works out. Exactly what I was thinking, my family does not thing its a meal without meat! 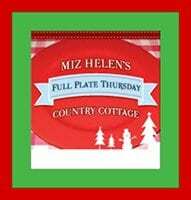 Do you mix the veggies and stuffing or is it layered? Sounds like a great side. You mix it all together. Enjoy! If you baked this in the oven how long would you cook it and what temp? Just a thought ?